Weighty Matters: Teachers, Stop Teaching Kids To Reward Anything and Everything With Junk! Teachers, Stop Teaching Kids To Reward Anything and Everything With Junk! The past 50 years of so have seen scads of unhealthy societal changes to how we use food, and near the top of that heap lies our now normalized use of junk food to reward, pacify, and entertain our children at every turn. 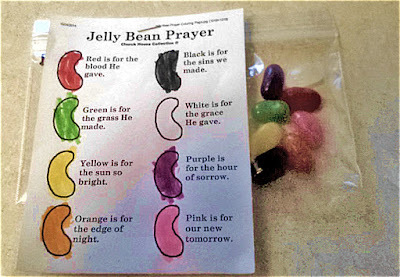 Take the jelly bean prayer up above. 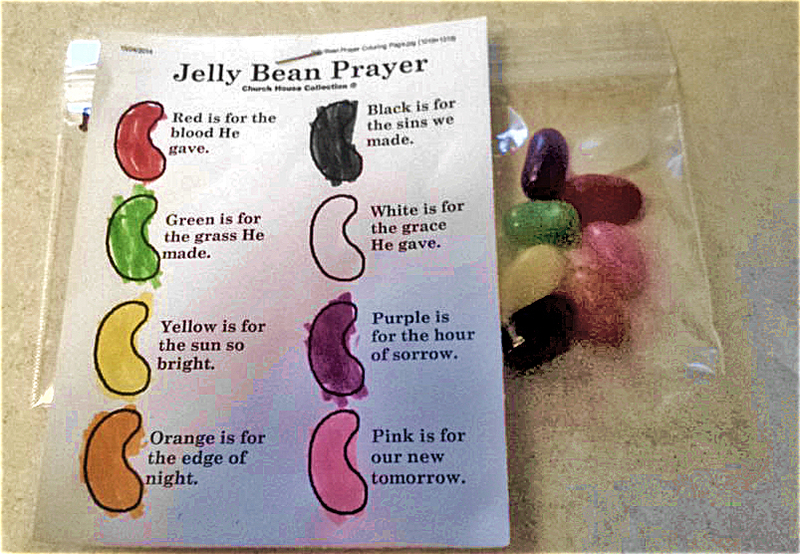 That was sent home with RD Nadine Devine's Junior Kindergartener in honour of Easter. Or this needs-to-be-seen-to-be-believed note that was sent home with another friend's 5 year old. I imagine that the teachers responsible for those two examples don't see either as unwise as why question normal behaviours? If everyone does them, they must be ok. 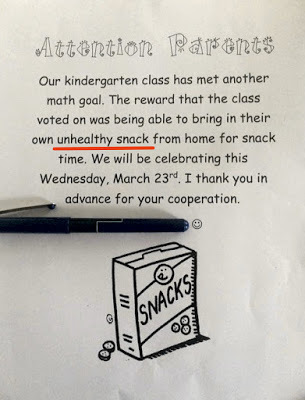 Yet I'd wager that if those same two Kindergarten teachers reflected on the lesson their use of classroom junk food is teaching their incredibly impressionable, young, students, they would recognize that teaching incredibly young children that it is normal to reward even the smallest of victories or celebrations with junk food is not in their students' best interests. I know that teachers care deeply about their students, which is why I genuinely believe that putting an end to junk-food classroom rewards is something that society, and teachers, can fix.